Order these products direct from the authors for a bulk discount, or buy them from the publisher at Solution Tree Press. New Book!!! Preview NOW. Click here! 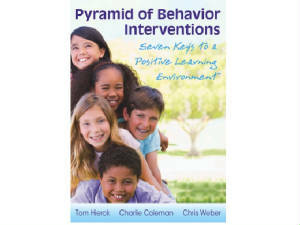 "PYRAMID OF BEHAVIOR INTERVENTIONS: 7 keys to a positive learning environment" Solution Tree Press. In Pyramid of Behavior Interventions, the authors ask educators to commit to proactively meeting the behavioral as well as academic needs of their students. Research on student behavior, response to intervention, and professional learning communities inform the practical strategies teachers and school leaders can use to create superior school and classroom climates and cultures in which learning is primed to occur. Order NOW. Click here! "What do you make?" 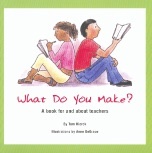 - A book for and about teachers, by Tom Hierck.